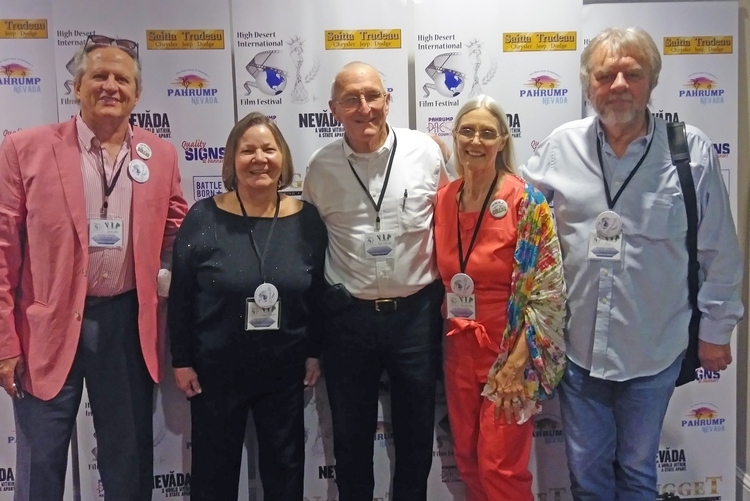 At High Desert International Film Festival with our friends who produced the movie "Gufors"
In these times, it is self-evident that Truth can become obscured by the sheer volume of thoughts and opinions expressed publicly by all. That in mind, it is easy to minimize the importance of some things that must be said, that cannot be swept aside any longer. Among others such as War, Poverty, Disease and Corruption is' the truth' about the racial divide between our citizens of color and the authorities that we have empowered to protect and defend us All and recent events that have so clearly defined that chasm. 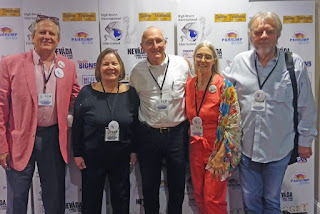 This past week we (Willy-Gilly Productions) participated in a film festival with our independent, feature film, "Collar." We have now been 7 years in the process of finding a market, simply because the custodians of the cultural landscape (namely movie studios, broadcast and cable networks) have been, at best, indifferent and mostly unwilling to confront the issues for any other reason than to self-aggrandize their own coverage, hawk their advertisers products and shamelessly exploit the American commercial marketplace. Marianne's insight and perceptions of this film are exactly what was intended from the beginning, to create an awareness and open the channel for sincere investigation of our deepest thoughts about those who do not look like us, regardless of which "us" we may be. We will continue to carry this fight for as long as it takes to expose these social scars, treat our damaged souls and heal this wounded nation. See you at the movies... If you would like us to exhibit at a theater near you, please contact us and we will do what we can to make that happen, SOON. Peace.